"... if there was an oil you could use for your daily cooking needs that helped protect you from heart disease, cancer and other degenerative conditions, improved your digestion, strengthened your immune system and helped you lose excess weight, would you be interested?..." If you believe that "health is wealth", you may want to take a closer look at Virgin Coconut Oil (VCO). With the escalating rate of chronic diseases such as cardiovascular diseases, strokes, high blood pressure, terminal cancers, diabetes, liver diseases, infections, viral flu, skin disorders, psoriasis and several other health afflictions in our modern societies, due to the lifestyles of today, the search for a defense antidote has never been more urgent. VCO may just be the solution. COCOLAB believes and champions the amazing health benefits of Virgin Coconut Oil and advocates that VCO become a daily dietary inclusion for every person who values health. What Makes VCO so Beneficial? VCO is a dietary oil rich in medium chain fatty acids and lauric acids which possess a host of health benefits. These acids are known for their anti-viral, anti-bacterial, anti-protozoal and anti-fungal properties. High concentrations of medium chain fatty acids is also naturally found in mothers' milk (colostrum), a nutrition essential that provides newly born babies the immunity to infections. 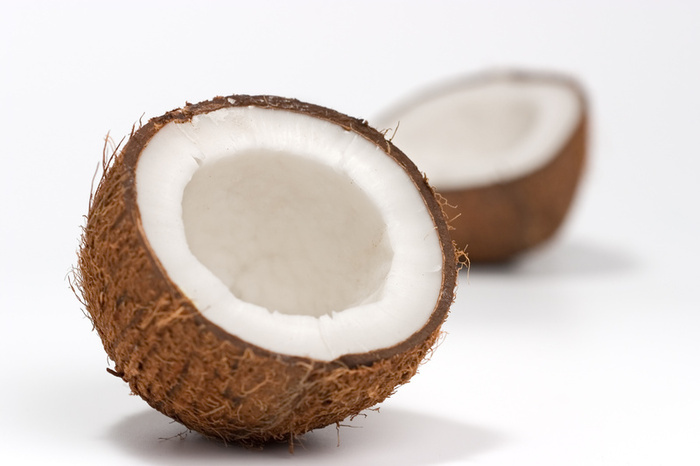 Lauric acid makes up about 50% of the fatty acids in coconut oil. When lauric acid is ingested, it forms a substance called monolaurin that can kill harmful pathogens like bacteria, viruses and fungi. Research also points to lauric acid’s ability to provide energy and control weight. Further research has discovered its ability to produce ketone bodies which may be beneficial against Alzheimer’s and dementias. The bulk of ingested lauric acid is sent directly to the liver, where it’s converted to energy rather than stored as fat. When compared with other saturated fats, lauric acid contributes the least to fat storage. What is a Medium-Chain Fatty Acid (Medium Chain Triglyceride, MCT)? And Why Size Matters? The fats and oils in our diet are largely composed of long-chain fatty acids, whether they're saturated or unsaturated. Long-chain fatty acids take longer to be broken down by our body system, travelling from our intestinal tract and then into our bloodstream. This is when they can begin to clog vessels and arteries. A medium-chain fatty acid (MCT), unlike the former, is smaller in size and is therefore easily broken down and digested quicker. They are transported via the portal vein into the liver and broken down into medium chain free fatty acids. This process releases instant energy (ketones) which is much needed by the body, while at the same time improves the health of the liver. The free fatty acids are then transported through the systemic circulation where their antiviral, antibacterial and antifungal properties are brought to bear for the good of the body. VCO promotes higher energy output and increases metabolic rate. MCT Boosts The Liver's Production of HDL! Consumption of VCO which contains the MCT will promotes an active production of HDL to effectively balance out the bad cholesterol effect in our system. Chances of artery walls being clogged by long chain triglycerides are reduced with VCO. "... Coconut oil is a most important oil because it is a lauric oil. The lauric fats possess unique characteristics for both food industry uses and also the uses of soaps and cosmetics industries. Because of the unique properties of coconut oil, the fats and oils industry has spent untold millions to formulate replacements from those seed oils so widely grown in the world outside the tropics. While it has been impossible to truly duplicate coconut oil for some of its applications, many food manufacturers have been willing to settle for lesser quality in their products. Consumers have also been fed so much misinformation about fats and oils..."
Lauric Acid works effectively in your body by targeting and breaking down the cell membrane of these viruses. By dissolving these fat-coated walls, many have experienced their tremendous recovery towards tip top health. One of the miraculous features of VCO is its anti-oxidant properties, much needed to fight against free radicals in our body. Free radicals are continuously produced in our body system and a diet rich in anti-oxidants will slow down the aging process exacerbated by degnerative diseases and even cancer. Who Would Benefit From VCO? Remedies skin problems and conditions such as psoriasis, eczema, rashes, stretch marks, blisters, athlete's foot, diaper rash, and other skin ailments. For more health benefits, click here! "... Virgin Coconut Oil (VCO) is not new, its preparation and curative properties were known to Ayurvedic medicine practitioners of India 3 to 4 millennia ago... The resurrection of VCO started slowly in the '80s with the discovery of long hidden research findings of several investigators which were disseminated through the free-wheeling, peer-review independent internet. 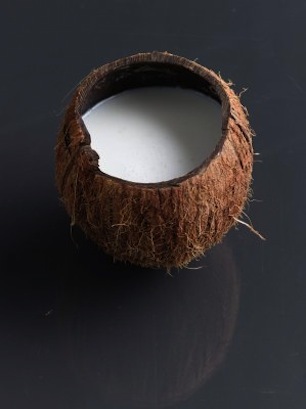 The many health benefits and curative properties of coconut oil were thus revealed. But because of the oil's bad reputation among doctors as causing heart disease, it took years for the truth to sink in. Cooking oil from copra was not at all attractive as medicine. But when VCO with its superior physical qualities re-entered the market in 2002, coconut oil as a medical cure literally exploded into the market and into mass consciousness." If you find yourself with doubts regarding coconut oil and its bad association as a saturated fat, this has been a result of strong marketing ploys, often placing a bad impression on coconut oil. Not all saturated fats are bad! The saturated fat in coconut oil is made up of the good Medium-Chain Fatty Acids (C8, C10 & C12), not to be confused with harmful Long-Chain Fatty Acids (C14 and above) found in animal fat. It is unfortunate that associations with saturated fats have conjured up a negative light onto coconut oil. Back as far as the mid-1980's, concerns over saturated fats and its association with high cholesterol levels opened a window of opportunity for the soybean industry. Marketing gimmicks condemned saturated fats as bad fats and millions of marketing dollars were poured into anti-saturated fat and anti-tropical oils campaigns, to protect Western oils. Coconut oil was severely discredited as a result. Nevertheless, many populations in tropical countries continued a coconut-rich diet and the health of those communities proved remarkable, dispelling charges against this tropical oil. As more research is being done on coconut oil properties, the truth in this miracle oil is being revealed to the world. Today, coconut oil is widely heralded among scientists, doctors and nutritionists as the only oil one should include in their diet. In July 2017, the American Heart Association vilified coconut oil, condemning it as a saturated fat which raises LDL or bad cholesterol. More recently, a Harvard Professor, Karin Michels called Coconut Oil pure poison in her lecture, and said it is ‘one of the worst foods you can eat’. The AHA statement has prompted withering criticism from scientists, dietitians, and science writers working in the field of nutrition and public health who point out that the AHA only included four studies in their analysis, the majority of these studies were conducted in the 1960s, long before the differences between saturated fat and trans fat were understood (the two were often lumped together and simply classified as “saturated fat”) and long before the differences between “good” HDL cholesterol and “bad” LDL cholesterol were known. Recently, even the “bad” LDL cholesterol has been subdivided into “small and dense” vs. “light and fluffy” categories, with the former indicating an elevated risk of heart disease and the latter looking like it may be protective against heart disease. The four studies that the AHA used as a basis for forming their controversial statement did not take any of these factors into account. What if fat isn't so bad? Eat Fat! Your life depends on it!